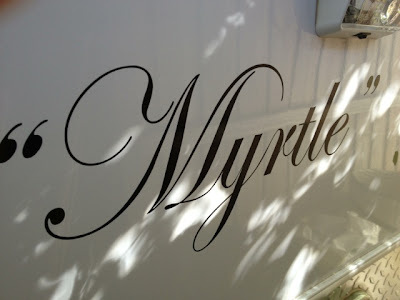 Thursday began quite early with the last of the packing up of Myrtle and the car. I can't believe we are actually doing it - "running away from home for 12 months". We fully intended to leave around 9.30ish but as usual with the best laid plans - we ended up leaving just before 11am. Once we were packed it was time for our final goodbyes and cuddles. Then it was time to drive off on our adventure. Even though the weather was fairly chilly today nature gave us the bluest skies possible. 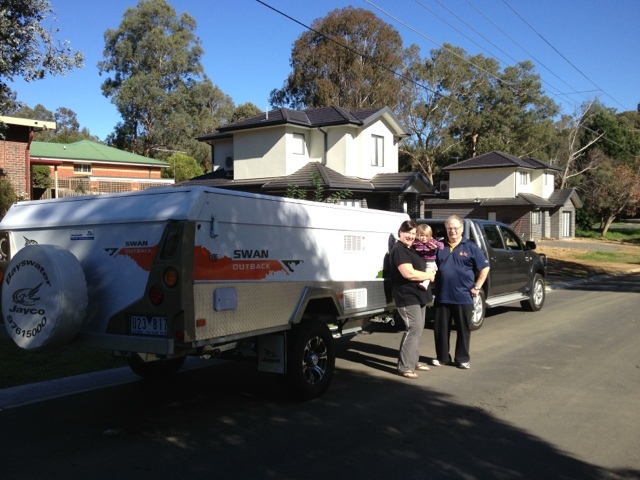 We arrived at our first destination, Swan Hill around 4.30. Swan Hill is situated on the beautiful Murray River (border of Victoria and New South Wales) and as you can see by my photo it is right at our doorstep. 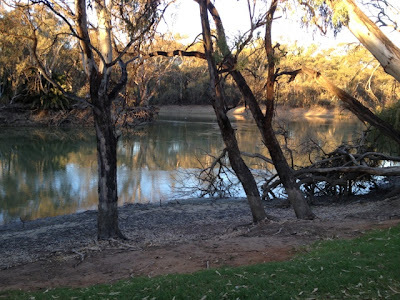 As with the majority of towns on the Murray River they were originally populated by Europeans due to the river being the main transport of goods in the old days. But according to Wikipedia, based on evidence from Coobool Creek and Kow Swamp, it appears that Aboriginal people have lived in the area for the last 13,000 - 9,000 years. The area is inhabited by the Wemba-Wemba and Wati-Wati people. Swan Hill was called "Matakupaat" or "place of the Platypus" by the Wemba Wemba people. We then did a little bit of exploring but Shane is not 100% as yet so it was back to our little home and an early night for Shane while I played on my iPad. Tomorrow we travel further along the Murray to Mildura for a couple of nights. I think it may take me a while to get used to this lifestyle of not really have to do anything or be anywhere!!! How exciting to be on your journey, no clocks, no schedules and no worries! I love the photos and look forward to traveling along with you! Congratulations on Starting your Adventure, Davine ... already I am enJOYing the storyteller in you and feeling those wistful thoughts of wishing I was doing it, too. 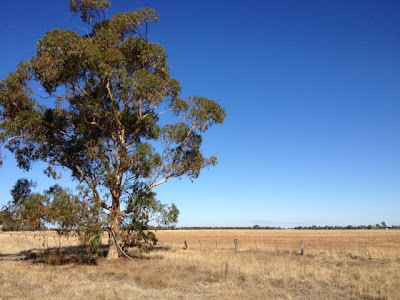 Thanks for sharing the history of Swan Hill ~ it's like being in a virtual classroom and really interesting. Thanks Darlene,yes it is pretty exciting. Thanks Michelle - yes as I mentioned to you I want this trip to be my classroom. How exciting for you! 12 months on the road! You are one courageous gal! I am catching up with you Davine and see that you have quite an adventure ahead for you and Shane. Good luck and enjoy the 'view'! !